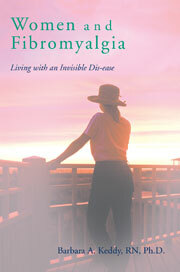 This book Women and Fibromyalgia: Living with an Invisible Dis-ease is available from Amazon.com, or Amazon.ca, Borders, Barnes and Noble, Chapters, Indigo or as an e book. In the USA you may also call 1-800-AUTHORS to order, which is probably the fastest way to receive the book. In Canada you can call 1-402-323-7800. Anyone may visit www.iUniverse.com to place an order directly and quickly. Many of the books on fibomyalgia tend to focus primarily on how to live with the condition or are searching for medical causes. While there is value in this approach I believe we need more answers about why fibromyalgia is more common in women. This is a book that will share Black and Caucasian women’s stories of courage in living with this unbelievably common, debilitating and chronic condition. It is storytelling that allows voices to be heard that have often been silenced. During the process of interviewing the women I lived through an ‘aha’ moment that led me to a probable, and highly likely explanation about why fibromyalgia occurs primarily in women. The foreward is presented by Dr. Jock Murray, medical humanities and neurology professor, Dalhousie University Medical School, Halifax, Nova Scotia, Canada. In the book I include much of the existing research regarding fibromyalgia, and I explore the current theories, symptoms, medical and complementary treatments, legal and socio-economic implications of this syndrome. But I have become more interested in how society is constructed in such a way as to bring about higher incidences of invisible ‘conditions’ in women. All of this would be of interest to those who have fibromyalgia, and/or chronic fatigue, accompanied by chemical sensitivities. Their families, as well as researchers who are interested in these conditions and the issue of chronic pain in general will also benefit from reading this book. Academics and health professionals who are involved with issues regarding women and health will also find the content informative. While some may disagree with the theory I present regarding the gender aspect of fibromyalgia, I believe most readers will find the ideas challenging and thought provoking.